Ellen travels to Rwanda for the first time. Ellen visits the gorillas in Rwanda. Ellen reflects on Dian Fossey and the Campus. Portia returns to Rwanda for the groundbreaking of the new Ellen DeGeneres Campus of the Dian Fossey Gorilla Fund. The groundbreaking happened! It’s now official. Hear directly from Portia about this monumental event. “Hi! It’s me Ellen. I created this BE KIND subscription box as a way to help people spread kindness. It’s like a warm butter knife for your peanut butter. You’ll get a box full of fun, unique, amazing products that I love and want to share with you. I also wanted to focus on brands and products that do social good. 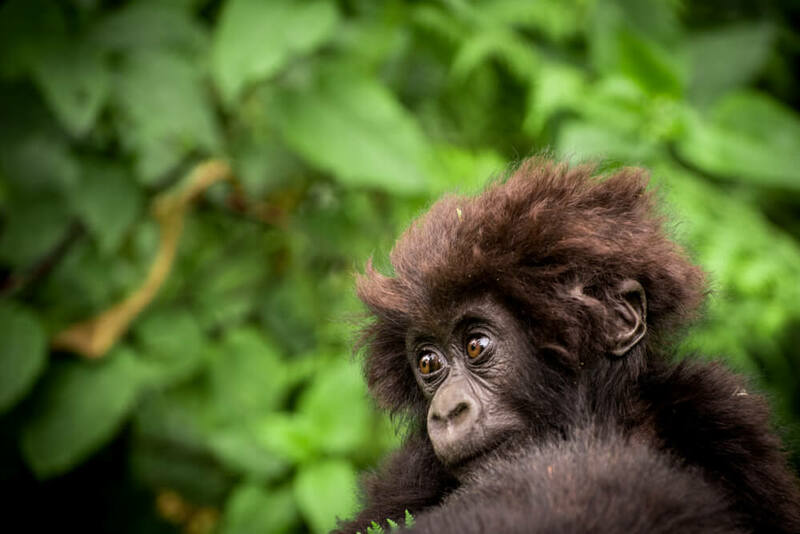 Portia recently went to Rwanda for the groundbreaking ceremony of The Ellen DeGeneres Campus of the Dian Fossey Gorilla Fund, and this is the first look at her momentous trip. VIDEO — The first artist’s preview of The Ellen DeGeneres Campus of the Dian Fossey Fund. Portia de Rossi, Director of The Ellen Fund, sends back a Journal entry from the groundbreaking of the Rwanda campus. Producer Andy Makes Videos to Support the Gorillas! Ellen’s Executive Producer Andy raises money for The Ellen Fund. Watch as Andy sings Justin Timberlake's "SexyBack" and gives a greeting to a fellow Jewish middle-aged dad. We wanted to take a moment and say THANK YOU for everything you’ve done to support gorillas this year, joining Ellen (and many others!) on her journey to help save them. We appreciate it! It’s a fragile win that required decades of on-the-ground protection by hundreds of dedicated humans, many of whom lost their lives to help the gorillas. The Dian Fossey Gorilla Fund has studied golden monkeys in Rwanda for years, because they are a critical part of gorilla habitat, as well as a fascinating facet of the forest’s biodiversity. They are also an endangered species and it is believed that their population is declining.